Custom built bungalow on 24 acres in beautiful Upper Squamish. 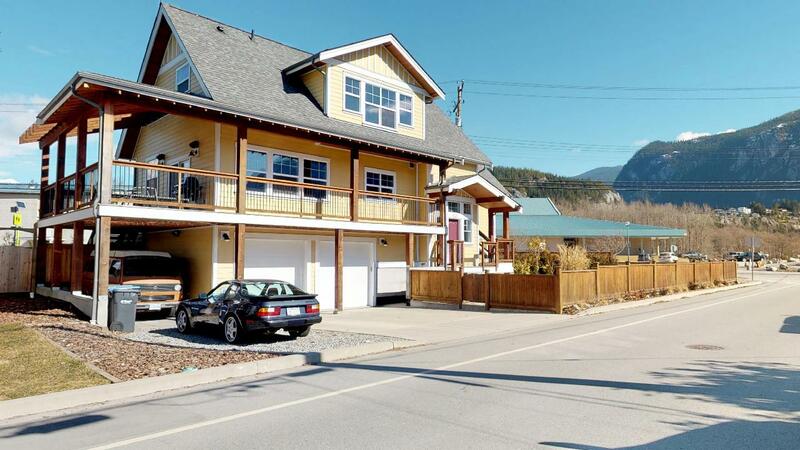 This rural property in the Agricultural Land Reserve is 30 mins north of downtown Squamish, has 3 bedrooms, 2.5 bathrooms and 3,800 sq ft of living space. The unique floor plan features four large mandalas in a u-shape, connecting to make the back yard your private oasis with 360 degree mountain views. Features include an over-sized stainless steel fridge, double stainless steel wall oven, large pantry, large island with induction cook-top, Japanese-style soaker tub, multiple massaging shower heads in the master ensuite, propane forced air heat pump/air conditioning, two free-standing wood stoves, water filtration system, 6 ft crawl space under the entire house, fenced dog run and so much more. Viewings by appointment only. Carport; Multiple, Open, RV Parking Avail.